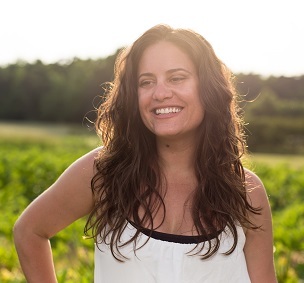 Dayna Reggero has been a part of the Accelerating Appalachia team since its inception and has worked to advance environmental engagement and action in collaboration with organizations and companies throughout the United States and around the world for 20 years. She is the director of the Climate Listening Project and you can find her documentary films and stories on hundreds of places, from Woman’s Day Magazine, NPR, Salon, iHeartRadio, Univision, Yahoo, Huffington Post, and The Atlantic to Jane Goodall Institute, Yale Climate Connections, Union of Concerned Scientists, and Thrive Global. Dayna has been interviewed by CNN, ABC, CBS, NBC and FOX networks; told stories on the cover of U.S.A. Today Weekend; coordinated with Animal Planet, TLC, and the Food Network for features; partnered with Discovery on a film tour of California’s sustainable farmers; and collaborated on the Emmy Award winning series “Years of Living Dangerously”. Dayna’s collaborations have included: Environmental Grantmakers Association, Sierra Club, NRDC, Environmental Defense Fund’s Moms Clean Air Force, International Environmental Paper Network, National Audubon Society, Audubon International Alliances Program, General Motors Chevy Electric, Ford Green, Dogwood Alliance, EcoAmerica, Woody Harrelson’s Step Forward Paper, Ian Somerhalder Foundation, CleanTech Open, Green Festival, and U.S. Army, among others. Her awards include: Winner Best Documentary, Winner Best Short Documentary, Winner Best Film, Featured Filmmaker, Addy Award for Mixed Media Campaign, Addy Award for Print Campaign, Community Leader of the Year Award, Best Environmental Film Finalist, Roosevelt-Ashe Conservation Award Outstanding Conservationist Top Nominee, Environment and Ecological Social Activism Award, PR Power Award, and Emerging Leader of the Year Award, among others. Dayna received a Bachelor of Arts degree in communications and a Master of Applied Science degree in environmental policy and management.